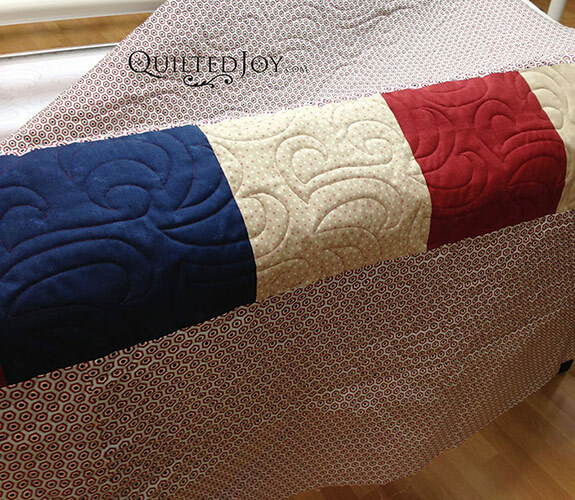 The Longarm Guild will be meeting next Wednesday, February 6 at 10:00am in the Quilted Joy showroom. This month Jane will be giving a presentation on pieced backings. She’ll even share how to add more backing to a quilt that’s on the frame! If you have a quilt with a pieced back that you’re very proud of – or that you learned a lot from 😉 – please bring it to share with the guild. Previous post: Certified Used APQS Longarm Quilting Machines Just Released!